George Mittner, 93, of New Brighton, died Saturday February 9, 2019, in his home surrounded by his loving wife, children and grandchildren. Born February 14, 1925, in New Brighton, son of the late Francis E. Mittner and Mildred Beatty, both of New Brighton. George was the devoted husband of Theresa "Terry" Royac for 63 years and the loving father of four children, in which he devoted his entire life. He was a graduate of New Brighton High School Class of 1942 and a Veteran of the U.S. Navy Armed Guard during World War II, where he participated in the Russian Campaign. He was honorably discharged as seaman first class at PSC Shelton, Virginia in 1945. 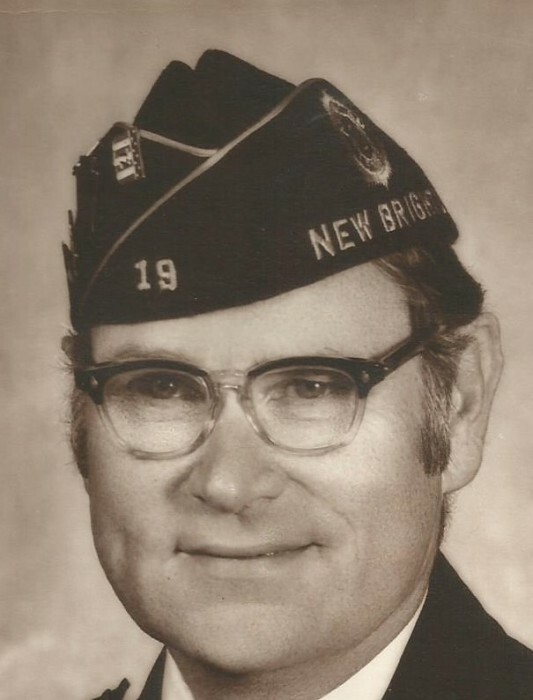 George was a lifetime member of the New Brighton American Legion, Anderson Adkins Post 19 where he served as commander. He was also involved as a treasurer of the Memorial Day Association for 18 years and served as president of that Association for one year. George served as treasurer for the New Brighton Boosters Association for 5 years. George worked for LTV Steel for 30 years, as a supervisor of data processing and then postal supervisor. He was a member the Holy Family Catholic Church of New Brighton. His family will remember him as a devoted son, caring for his mother until her death in 2005. He was a devoted husband and father, dedicating his life to his wife and four children. He was extremely excited to spoil his grandchildren anytime he had the opportunity to do so. In addition to his wife Theresa "Terry", he is survived by his daughter, Denise and Larry Adkins, Worthington Ky.; son, David, Millerstown Pa.; son, Donald and Aliene, New Brighton Pa.; daughter, Diane and Andre D'Addio Wampum Pa.; grandchildren, Dustin, Josh, and Desiree Adkins; Sarah and Jeremy Mittner; Lauren, Andrew and Alexander Mittner and Adriana D'Addio and one great-grandchild, Micah Mittner. He was preceded in death by his father, Francis in 1937, mother, Mildred in 2005 and a granddaughter, Stephanie in 1994.
gast for his dedication to the family. There will be no viewing. Friends will be received Thursday from 5:00 to 8:00 p.m. in the J&J SPRATT FUNERAL HOME, 1612 Third Ave., New Brighton, www.jjsprattfh.com. where prayer will be held Friday at 10:00am followed by his memorial Mass of Christian burial at 10:30 a.m. in the Holy Family Catholic Church, Seventh Avenue, New Brighton. Interment will follow St. Joseph Catholic Cemetery, New Brighton. In lieu of flowers monetary donations may be made to The New Brighton Memorial Day Association, P.O. Box 103 New Brighton PA 15066. Members of the Beaver County Special Unit will meet Friday at 11 a.m. in the cemetery to provide full military honors.